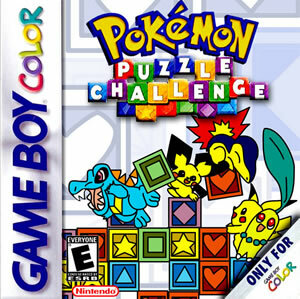 Pokemon Puzzle Challenge for Game Boy Color is another spin-off Pokémon game based on Tetris attack, where the player will mostly have to clear the blocks appearing on the screen, throughout different game modes. While it's very similar to Pokémon Puzzle League, the game offers different modes and a different small plot. The main difference between the two games is that Pokémon Puzzle League was based on the anime, while the while Pokémon Puzzle Challenge game is based on the second generation Pokémon games, Pokémon Gold and Pokémon Silver. Most of the game soundtracks are taken from Gold and Silver, as the each gym battle soundtrack is taken from the gym's respective town in Gold and Silver. The game features animated Pokémon portraits, with the Pokémon laughing if the player wins, or crying if their trainer loses. Playing as a trainer called Gold, the player seeks to become the Pokémon Puzzle Champion. 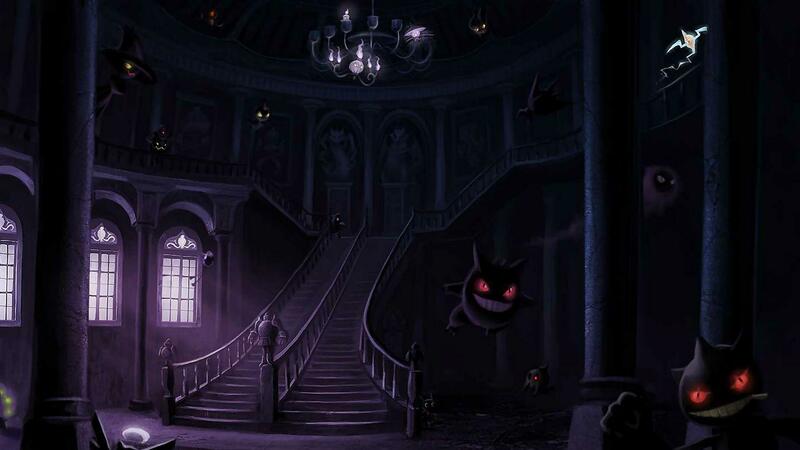 To do so they have to defeat the eight Johto Gym Leaders and the Elite Four. The player will also battle other trainers along the way, who might allow the player to use their Pokémon, if they manage to score a win. Chikorita, Pikachu, Totodile, Pichu, and other favorite Pokémon will help you take on Johto Gym Leaders like Jasmine, Pryce, and Falkner in a quest to become the Pokémon Puzzle Champion. Use lightning fast reflexes to form chains and combos that clear the block tower, attack opposing Pokémon, and bury them in a sea of garbage! Six puzzling modes to play! Test your scoring skills in Time Zone, clean up the mess in Garbage, then face the eight Gym Leaders in the ultimate challenge mode. Plus, with Puzzle, Line Clear, and Marathon Modes, you'll be clearing blocks for hours on end! Train to be the true puzzle master. Watch demos that teach you the basics of forming chains and combos, then master the techniques in a special slow-motion practice mode. Link with friends to prove your puzzle prowess! Use the Game Link cable (sold separately) and battle your friends in three block-breaking two-player modes! Pokémon Puzzle Challenge features a total of 26 Pokémon, 13 of which can be used by the player, while the 13 others can't and will only be faced as opponents. At the start of the game, the player is given free use of the 3 starter Pokémon from the Johto region, which are Chikorita, Cyndaquil and Totodile. Plenty of other Pokémon are unlocked, as the player progresses in the storyline. During the game, the player will acquire a number of Pokémon Eggs, which will hatch into 4 different Pokémon: Igglybuff, Elekid, Magby and Cleffa. All of the four Pokémon can only be obtained through Eggs, in the second generation games. Within the Challenge Mode (Main Story Mode), the player may encounter additional trainers after fulfilling certain conditions. Each of these Bonus Trainers, will battle the player in a Puzzle Match, allowing them to use their Pokémon if the player wins. If the player loses, they won't encounter the trainer again, during the same campaign, and thus will have to start it all over again in order to acquire the Pokémon. It is the mode where the story takes place, and where the player will face the eight Gym Leaders, the Elite Four and the current Pokémon Champion. All of these characters will be using one of the Pokémon they use in the Gold and Silver games. To win against an opponent in this mode, the player has to make combos out of 4 or more blocks, causing damage to the enemy Pokémon and reducing their HP bar. On the other hand, if the enemy manages to do 4 blocks combos, they will spawn random blocks on the player's puzzle screen. Once the opponent's HP bar is depleted, the player is announced as winner and they can move to the next opponent. Furthermore, there are additional Bonus Trainers which can be encountered, as we mentioned previously. It's a game mode with infinite time, where the player tries to get the highest score possible. The higher the player's score gets, the more the game speed will increase, causing the mode to become more and more challenging. This mode can be played in 2-Players, with the players spawning extra blocks on their opponent's side each time they make a combo. If the blocks reach the top of a player's screen, their opponent is declared victorious. The Line Clear Mode features 5 different stages, where the player has to clear all the blocks above a white line, drawn on screen. This can be done either by clearing the blocks with combos, or dropping them underneath the line. Once all blocks above the line are cleared, the player moves to the next stage. It's a time limited mode, where the player tries to get the highest score possible within 2 minutes.Puzzle Mode :In Puzzle Mode, there are several Rounds, with each Round having 8 Stages. In each Stage, the player is presented with a different puzzle, with the goal of clearing all the blocks appearing on the screen using a limited number of moves. Clearing the blocks faster, results in a better score. Once all the stages are clear within a round, the player may proceed to the next one. Doctor Oak can offer up to 3 hints to the player during each round, if they press Select. Another infinite time mode, where the player tries to get the highest score, with blocks continuously falling from the top of the screen and increasing in number as the score gets higher. The player loses once the blocks stack up and reach the top. Check out these Pokémon Puzzle Challenge videos including intro videos, TV Commercials and more. Three different unused pieces of music which are present in the data files for Puzzle Challenge but never made it to the final release version. The game was re-released on the Virtual Console, with the same modes, except for the multiplayer feature, since the Game Link Cable isn't available on the 3DS. If the player manages to make a very long combo chain, the game will stop counting the combo number, showing "?" instead.The game was supposed to be released as Pokémon Attack, but the name was later on changed. There's a hidden Tetris style game called Panel De Pon, within Pokémon Puzzle Challenge, that can be accessed by doing a specific button combination at the Title Screen ( Up * 2, Right * 4, Down *1, Left * 10, Up * 4, Right * 1, Down * 6, B). 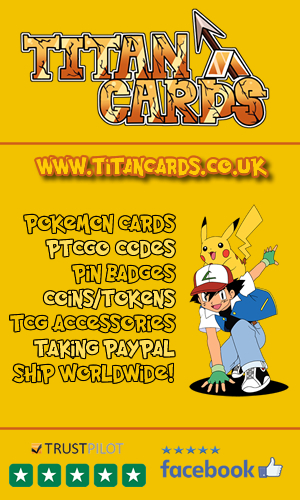 There was a tentative idea about calling PPC "Pokémon Attack!" making it even more clearly based on Tetris Attack. There are three songs within the games data files that are not used at any point in the game. Click here to go listen to them at TCRF. Craig Harris from IGN, very fond of Tetris games, stated that " The overall design is an amazingly addictive and maniacal puzzle game", rating the game 9/10, the equivalent of "Amazing" on the IGN scale. Frank Provo from GameSpot, was also amazed by the game and gave it a 8.9/10, which equates to "Great" on the GS scale, as a game "that does the Pokémon license proud" according to his words. On GameRankings, Pokémon Puzzle Challenge earned an astonishing score of 90.20%, over 10 reviews, while scoring 81% on Metacritic, over 15 critics. Timmy Petersson reviewed the title on behalf of Pokemon Dungeon scoring it 4.5 stars out of 5, As did ItsJiv, who wasn't quite as impressed and scored it 3 stars out of 5. Overall, and as the scores show, the game successfully portrays the Tetris genre, with a fun, challenging and very addictive gameplay.